Mix sliced cucumber and ½ tsp of salt, then gentry squeeze water out. Mix the eggs well. Add 1/2tsp of salt and combine together. Then make scrambled Eggs. 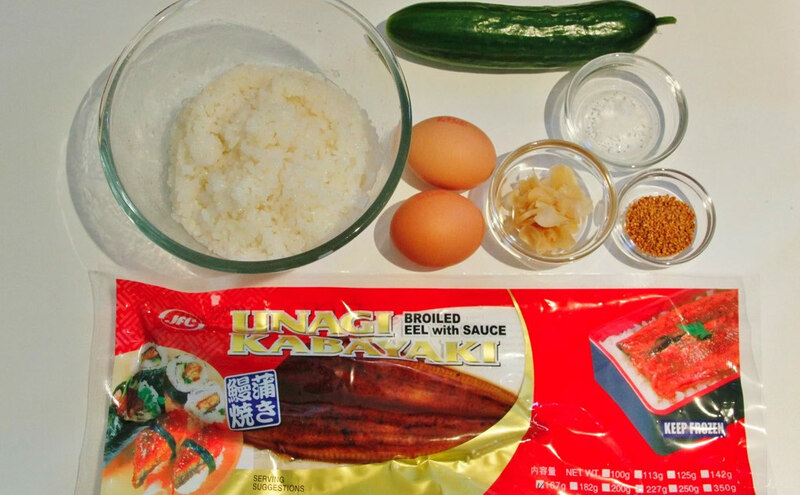 Place sushi rice in a large bowl, add pickled ginger and sesame seed. Then mix together in a quick and splashing motion with a flat rice paddle. 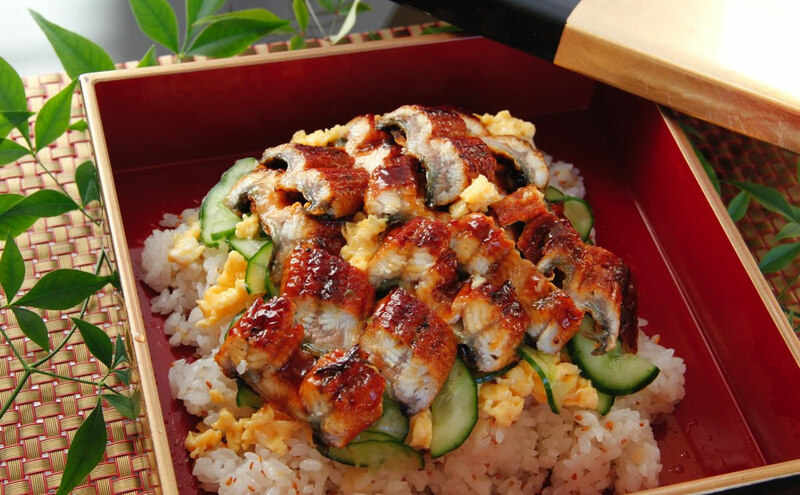 serve the sushi rice in a large serving plate and carefully arrange scrambled egg, cucumber and eel.